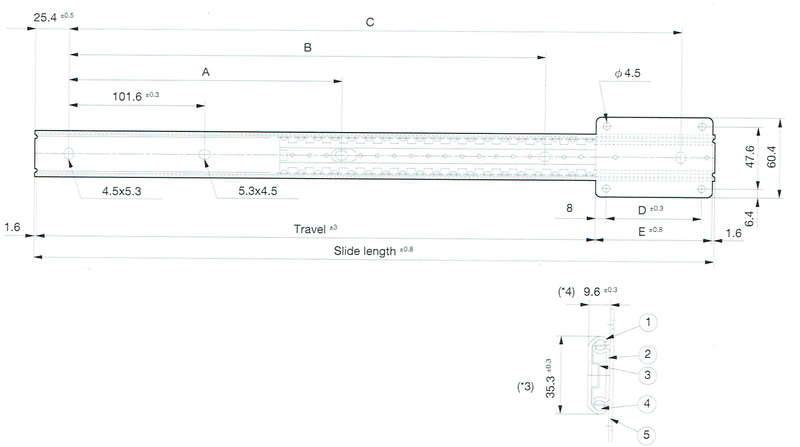 - Standart-use 35 mm sized slide rail. 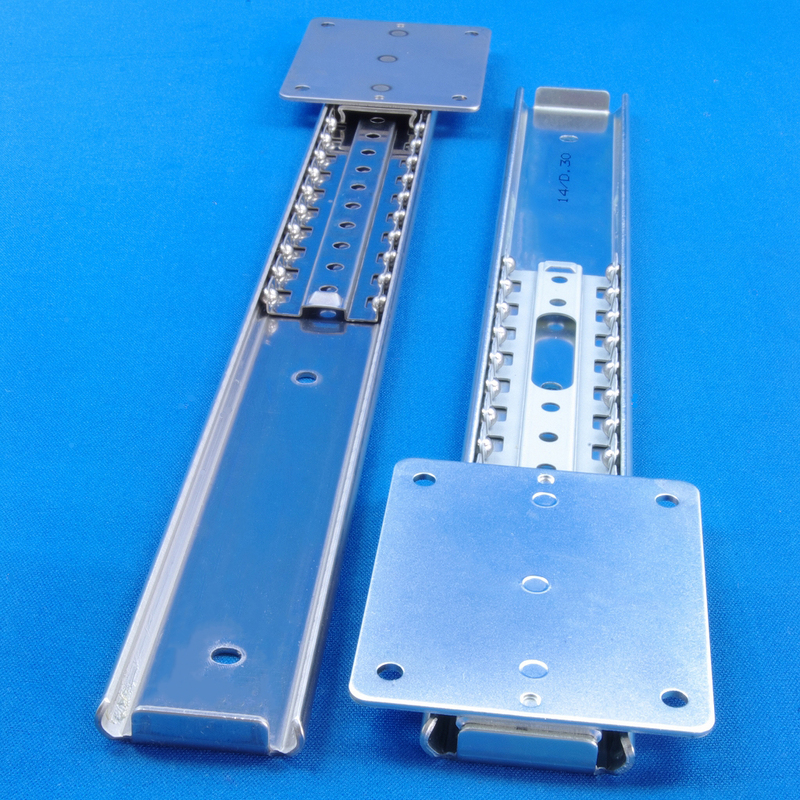 - Linear motion type: Inner member moves linearly within outer member. - Standart length of plate and inner member is three inches (#3), [Special order] products include 4 inch (#4) and 5 inch (#5) lengths, for 3511 (SPCC) only. - Part numbers (1) (2) (5) : Electrogalvanizing (trivalent bright chromate) : however, U11 is stainless steel and therefore unplated. 18 457.2 378 352 327 203.2 304.8 406.4 0.40 25 4 Ball SWCH 3/16"